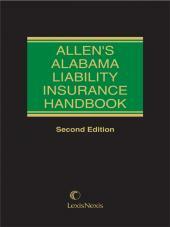 This treatise builds on the work of Bibb Allen and provides complete coverage of insurance law in Alabama. 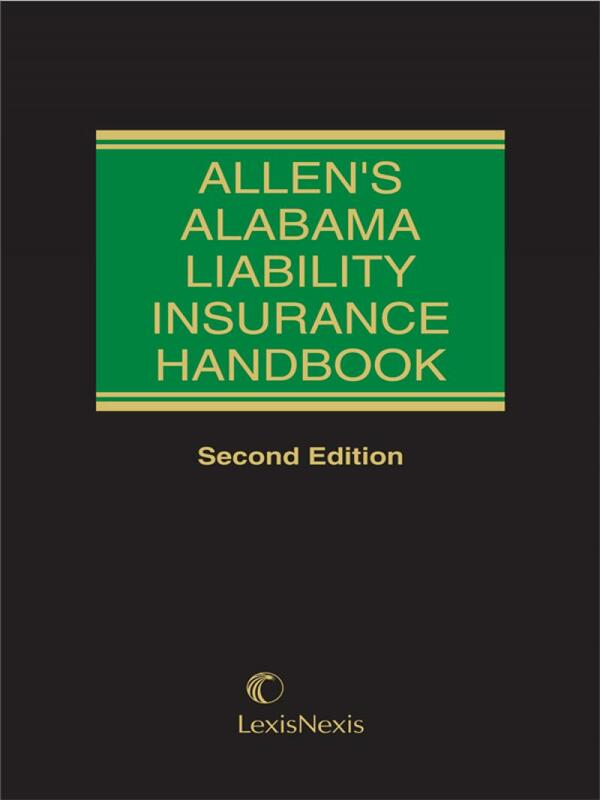 Recently updated and expanded, the second edition of the Alabama Liability Insurance Handbook is now called Allen's Alabama Liability Insurance Handbook to reflect the contributions of the original author Bibb Allen. 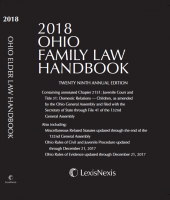 This new edition includes a new chapter on Alternative Remedies: Arbitration and Mediation and an appendix including applicable forms. 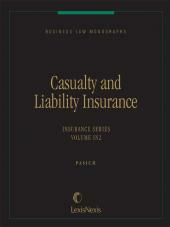 Now in one hardbound volume, the new edition includes all the recent Alabama insurance decisions and updates of Alabama insurance law, a revised table of cases and an index to include all of topics from the original work and supplements through June 2007. 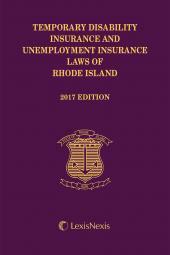 As with the original work, the book's design remains arranged so that practitioner's can easily find cases and insurance topics quickly and accurately. John Johnson is an attorney with the law firm of Christian & Small. He is a member of the firm's litigation section, focusing his practice on insurance coverage disputes and analysis. His practice includes providing coverage opinions on insurers' duties to defend or indemnify insureds. He represents insurers involved in contract and contract-related claims and torts, including fraud, bad faith, and claims for extracontractual damages. He also represents and advises insurers in allocation of risk disputes, obligations to additional insureds, indemnity agreements between insureds and obligations among primary and excess carriers. Richard Smith is the managing partner of the firm. His practice focuses primarily on complex and corporate litigation for the financial services industry and corporate entities. He has tried over 100 jury trials to a verdict, winning over 90% of those cases. In recent years he has arbitrated over 30 cases before the American Arbitration Association, the National Association of Security Dealers and other arbitration panels. Mr. Smith is a member of Rotary International, a Paul Harris Fellow, a founding member of the Board of Directors for Christian Women’s Job Corps (Birmingham Chapter), a founding member of Christian & Small, AV® rated and a Birmingham Top 50 in Law & Accounting.